Feb 02, 2012 03:19:23 EDT - There are several bids meet the preliminary requirements to get the prize of most popular bid. After reviewing the details of the votes, we have come to the conclusion that these providers have violated the terms of the voting policy. These bids are disqualified as the most popular bid. The new about yao's wine stired intense discussion in my family. I like wine and I was very supportive for yao's wine, but my wife ( CEO of (www.mombabycenter.com) did not agree with me. Since ancient times ,where there is wine, there are poems. Now we upgrade this discussion toa higher level, we'd like to collect ten poems, five for Praise and five for criticize. $20 for each poem. You can flatter it but please don't be a apple-polisher, you can criticize it but please don't be a slander. You can write the poem in any genre, any style, but the word must be Complexformed Characters, you can submit your poems before01/22/2012. 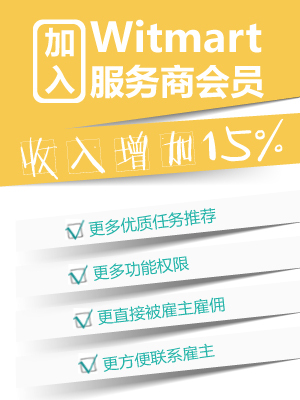 Poems about yao's wine, five for praise, five for criticize, $20 for each poem, it's first chance to get the reward. From the beginning, we will post the qualified poems(with basic information of the writer) to the oversea Chinese newspapers and web sites every day. We will select the winner according to the "Strike praise rate" and comments under the post ( very important). Set 02/29/2012 as the deadline, poem for praise and poem for criticize which got the highest Strike praise rate and comment's will win $100 respectively. Earlier submissions will take the advantage of getting more comments and get the reward. We aim to provide a chance to the fans of basketball and wine at home and aboard to communicate. You must agree to share the copyright of your poem before you summit it. Thank you! here are two poems written by me , if you afford the time to read it ,i will appreciate it .